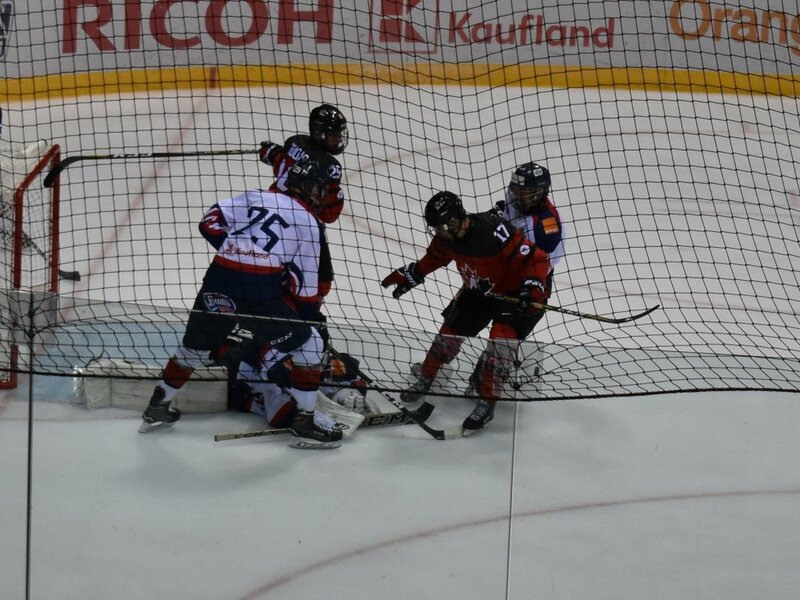 Penalty for Slovakia (Jan Sarvas – 2 min.). Scorer is BARRETT HAYTON. Assisted by Ty Smith, Akil Thomas. Penalty for Slovakia (Peter Melcher – 2 min., tripping). Scorer is JOE VELENO. Assisted by Ryan Merkley, Anderson MacDonald. Penalty for Slovakia (Martin Vitalos – 2 min., high-sticking). Scorer is OLIVER TURAN. Assisted by Oliver Okuliar, Matej Ilencik. Penalty for Canada (Jared McIsaac – 2 min., slashing). Penalty for Canada (Anderson MacDonald – 2 min., roughing). Penalty for Slovakia (Marcel Dlugos – 2 min., roughing). Scorer is ANDERSON MACDONALD. Assisted by Joe Veleno. Penalty for Slovakia (Simeon Pjatak – 2 min., cross-checking). Penalty for Canada (Benoit-Olivier Groulx – 2 min., slashing). Canada: Gravel (Rodrigue) – Bahl, Addison, Smith (A), Dobson, Merkley, Woo (A), McIsaac – Veleno (C), Thomas, Dellandrea – Fortier, Groulx, McBain – Noel, Hayton, Dudas – MacDonald, Shepard, Burzan – Foote.